This year Armenian people will celebrate Easter on the 5th of April. As we know it is a great Christian holiday in all Christian countries. Spring in Armenia starts with beautiful holidays. The month April, in which Easter is celebrated, is also the middle of spring. This is one of the best times for traveling to Armenia. Easter is tasteful and energetic, colorful, blossoming because lent is over and spring joy enters everyone’s heart christening for resurrection and new life. Armenians call Easter “Zatik”. Everybody in the streets and at home greets each other and says: “Christ has arisen”. The answer is “Blessed is the resurrection of Christ”. Though Easter vacation is short in Armenia, but people prepare with great enthusiasm. 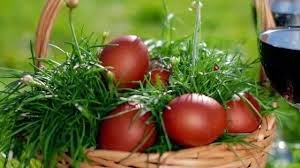 Forty days before Easter, Armenian families take lentils or wreaths, put on a tray covered with a thin layer of cotton and keep under sunlight and water it, and till Easter sprouts appear. These green sprouts, symbolizing spring and awakening of nature, are the “grass” on which people place colored eggs to decorate the Easter table. Generally, women color eggs with different images of the leaves or fully red. For achieving the dark red color, the peels of the purple onion are boiled with the eggs. The very day starts with the egg fight, wherein one tries to crack the egg of his opponent. Children roam with eggs in their hands and pockets, “fighting” with each other. The winner gets the eggs of the loser. Easter day is marked traditionally with meals of fish or lamb, rice and lavash. Fish are usually served either fried or boiled. 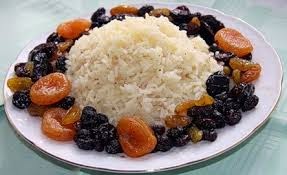 Rice is mixed with fried raisins and dried fruits and is served with lavash (Armenian national thin bread). It is an old tradition, when on the Easter day people walk to the church even if it is very far away from home, in remembrance of Jesus Christ suffering for our sins, and make their dreams come true. They can go to several churches during that day. Holiday travelers would love to take the pilgrimage with the groups. 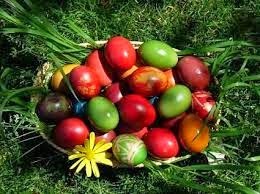 Everywhere in Armenia in Yerevan and in every city Easter is celebrated with traditional events, dishes, songs, greetings. Tour is making your free time special with the beautiful and adventurous activity of sports. You could visit lots of places during your tour that is full of adventure. Generally people love to https://www.imanali.in/manali-honeymoon-package-rajkot plan a camping near the river where one can perform lots of activities like bathing, boating, board surfing and some more activities.